Your donations to the Brigadier Foundation are key to the success of Citadel Athletics. Across the country, increased scholarship costs have resulted in financial challenges for many intercollegiate athletic programs. In order to keep up with the ever-growing needs, the Brigadier Foundation not only needs your continued support but asks you to consider increasing your membership level this year. Please know that your continued support of the Brigadier Foundation and The Citadel Bulldogs is deeply appreciated. Your commitment to the program impacts our nearly 250 cadet-student-athletes, and for that, we are truly grateful. IT ONLY TAKES MOMENTS TO JOIN THE BRIGADIER FOUNDATION. 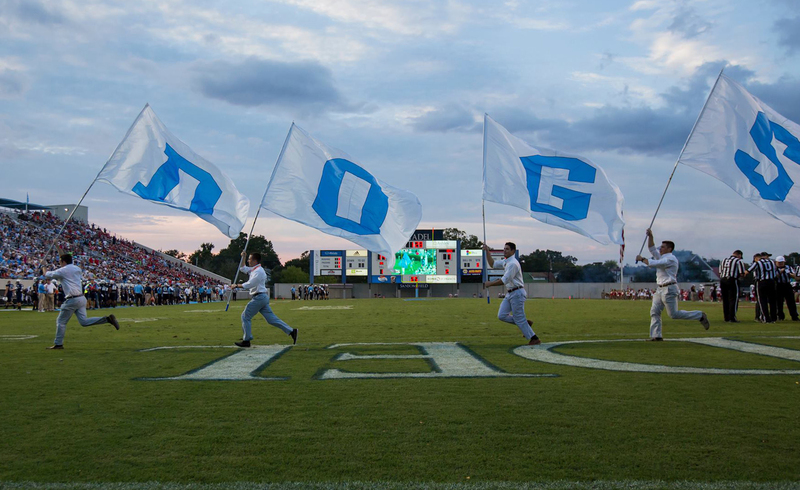 Membership allows for the ability to purchase club-level seating at Citadel Football games. Be closer to the action.